Lynnette Curtis is a wrapper - but not like Drake, or Eminem. 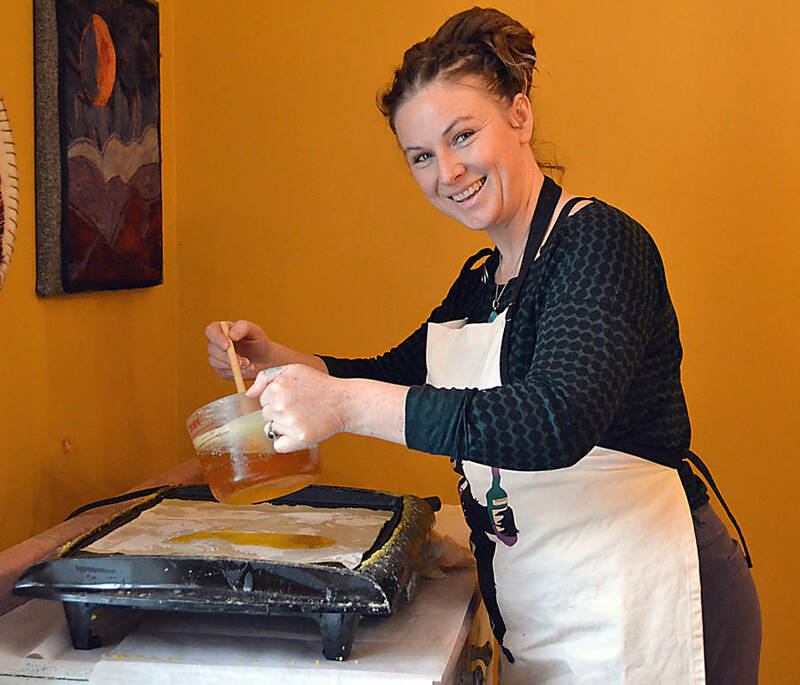 Curtis's wraps aren't musical, but rather reusable beeswax food wraps, and the growing buzz around them are a testament to both her can-do mentality and good fortune in making a bee-line for an untapped and growing market in Nova Scotia. 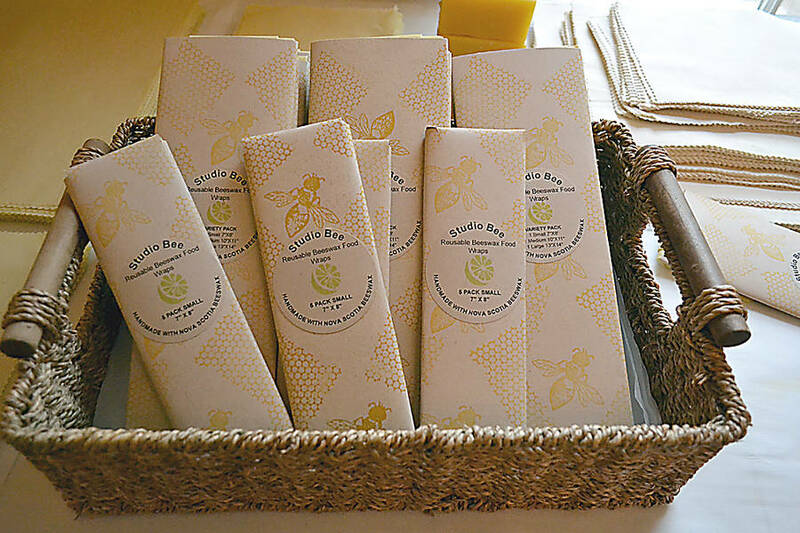 In 2015, when a friend gave her a Christmas gift of reusable beeswax food wraps a western Canadian company produced, the Broad Cove resident was intrigued. "I'm kind of like that. I see something and I think I can make that," Curtis told LighthouseNow. "That's how it started. It was just an interest. I have never used plastic wrap. I refuse to buy it. I have always thought it to be a wasteful product. And I thought this is perfect." However, with a history of self-employment, business is often on her mind, she admits. 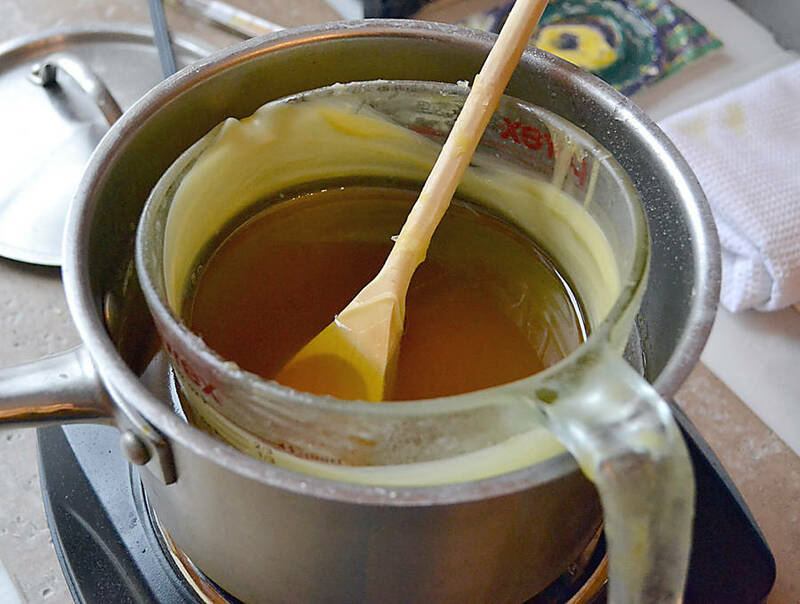 Curtis is certified in wellness techniques such as foot reflexology, aromatherapy and reiki, and she also used to make soaps and body care products. She was left wondering, "'Why isn't anybody making this?'" She started "poking around" and realized, like her, many people hadn't heard of beeswax wraps. The idea of making them for others began to take hold. She began searching to see what companies were making the product. "There was nothing that came up in a search in Nova Scotia. And I asked at farmers' markets and, no, nobody was selling such a thing. "And then when I started looking at web sites of other companies making them, I just started seeing 'sold out.' Almost every company that makes them their products are sold out when you go to order. And I thought, 'Hmm. People must be really catching on to this.'" 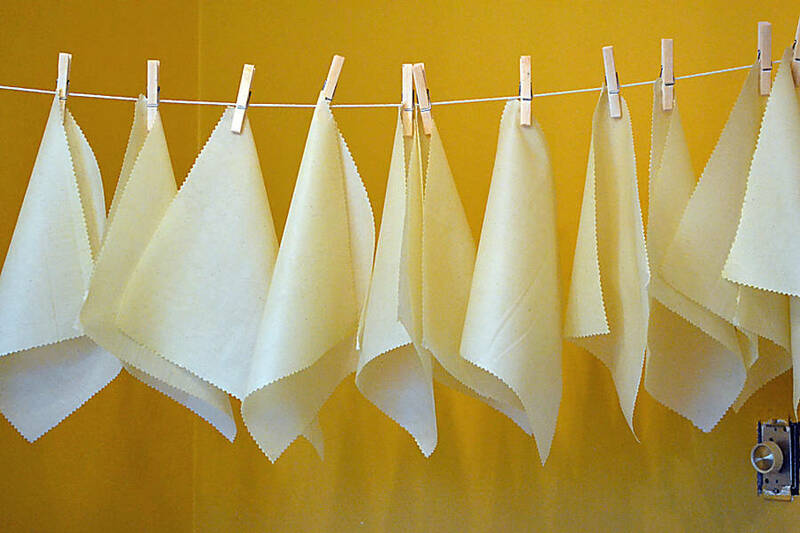 Curtis credits the Awesome Foundation's money for giving her the ability to buy supplies, such as organic cotton and beeswax, so she could produce the wraps in bulk and pitch them at the farmers' markets. "I wouldn't have had the $1,000 to just go buy a bunch of stuff without knowing for sure that I would make it back," she admits. When it came time to sell them, "It was just so easy," she says. "Even at a small market like West Dublin." Curtis sold over $400 in retail in wraps in three hours. "That was my first day, and it felt pretty good," she recalls laughing. "And then it continued like that where I saw that this could be a viable thing." After dabbling in the farmers' markets over the summer, Curtis went on to start a full time job in September working as a teaching assistant, and juggled the wrap production on the side. In time, she received a call from the Awesome Foundation's dean, Andrew Button, who also owns the start-up business program Mashup Lab and the internet and office hub in Bridgewater called C03. Button invited her to join Mashup Lab's business incubator program. "That has really been what has been keeping me moving forward, and keeping me motivated - just being a part of that course," says Curtis. However, her sales volume has become increasingly motivating as well as she started retailing thousands of dollars worth of wraps. Her variety pack of three wraps - small, medium and large - for $20 each. year people were buying them in multiples. 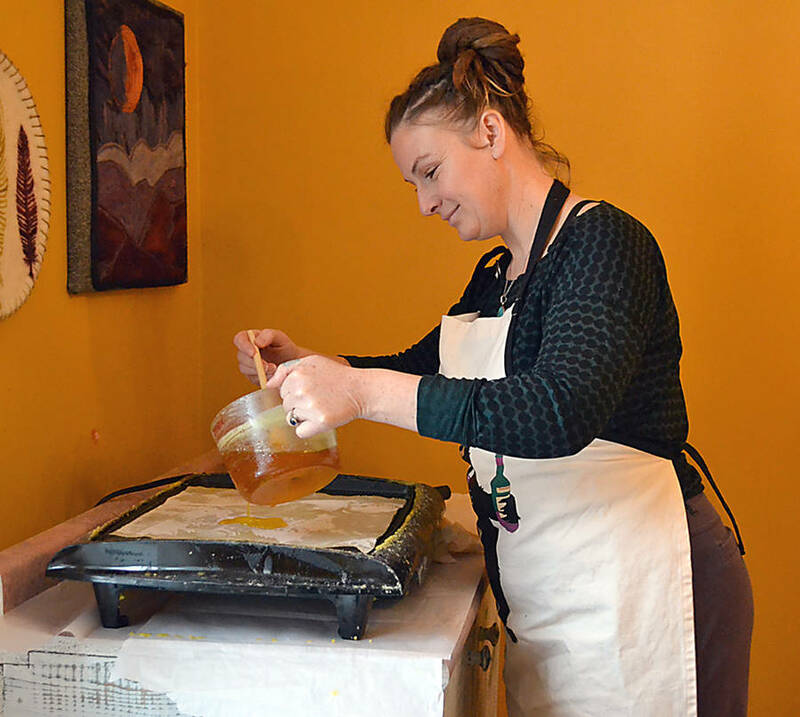 Curtis transitioned from producing the wraps in her kitchen at home, to using an unoccupied commercial kitchen, to the situation she's currently in where she has turned one of the rooms in her home into a production studio. She went through a few growing pains settling on a satisfactory supply system for items such as organic cotton and pine resin, both of which she was originally sourcing south of the border. But the ensuing customs charges began stinging her profit margins. She has since managed to find a supplier of organic cotton in Ontario, but is still searching for a Canadian bulk resin supplier. She estimates that in 60 hours she can make about 165 packages of wraps. While she has gotten faster, "I'm always thinking of ways to improve that process," she says. Curtis gives a lot of thought to market potential. "I'm thinking two packages per household is probably what people will do per year." As for her own family, she says, "we use so many. We've really replaced our plastic storage use." 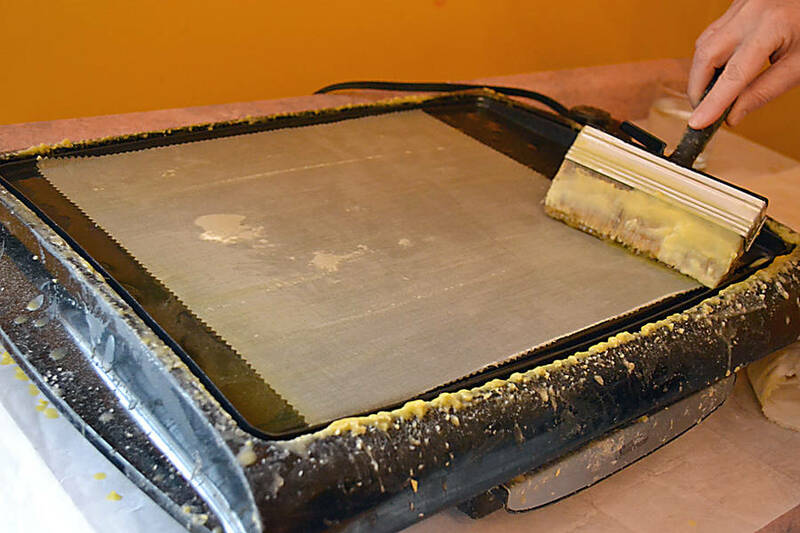 Moreover, as well as being much more environmentally friendly than plastic wrap, Curtis claims the beeswax wrap also keeps food fresher. Curtis has applied to Lunenburg Farmer's market and the Tantallon market for a vendor permit. Meanwhile, she's been accepted at Hubbards, Wolfville, Alderney Landing and the Annapolis Royale Farmer's market, as well as Bridgewater. Last month she was invited to pitch her business to a group of business people in the community as one of six entrepreneurs at Mashup Lab's DreamBusiness event at the NSCC Lunenburg campus in Bridgewater. And she has been awarded $5,000 in business services, such as marketing and web development through Mashup Lab. The next step in the Mashup Lab program is mentoring. When LighthouseNOW caught up with Curtis last month she was waiting to hear who her mentor would be. Curtis recognizes that if, typically, her customers will buy two packages of wraps a year, she will need to expand beyond Nova Scotian market. "I don't need to have a large company. But I do see that in order for it to be sustainable, going outside of Nova Scotia is inevitable," she says. However, she's not worried about demand issues, and her first bee-line will be for the nearby Atlantic provinces. "I think that, as we all become more aware of the need to stop using plastic, that products like this are only going to become more popular," says Curtis.